What should you do? You just found bees in your wall, who ya gonna call? Bee Busters! If you have a swarm of bees that are threatening the safety of you, your family or your neighbors, don’t hesitate – call your Bellflower bee removal experts at Bee Busters! Bellflower, California was once the home to a dairy industry and a huge Dutch immigrant population. However, with time, the city evolved into a bedroom community of single-family homes in a small downtown area. Today, Bellflower has grown into a city with a rich ethnic diverse population. Moreover, the city’s 56 active churches make it the country’s highest concentration of churches per square mile. While the place is a refuge for people from the violence and bleakness of the inner city, many homes here also suffer from bee, wasp and yellow jacket problems. It is true that we have to protect the population of the world’s busiest pollinators, which are our bees. However, this does not have to be done at the risk of suffering from bee stings. Looking for Bellflower bee removal service is even more urgent if there are bees in the vicinity, and someone in your family is allergic to bee stings. This is because the venom in bee stings is life-threatening to people with allergies. It is not at all advisable to try removing bees yourself, since it is a dangerous business. While bees do not sting unnecessarily, if you accidently provoke them while attempting to remove the bees, you are at the risk of suffering from multiple stings. Their bee removal is taken care of rather quickly. It involves locating the queen bee in the swarm and if the swarm hangs from a branch or bush, the bee keeper gently shakes the swarm into a basket. 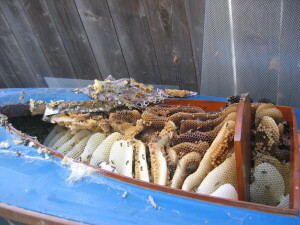 They then place the basket on the ground so that the bees that were not contained in the swarm quickly navigate towards the basket, attracted to the pheromone that the queen bee emits. This entire bee rescue process takes only half an hour and once the process is over, the bee keeper secures the bees for transport and for complete and safe bee removal. 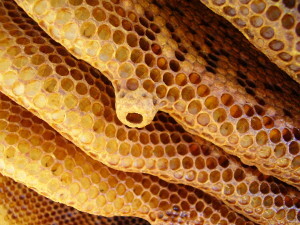 It is only if and when bees have taken residence in a difficult to reach location is bee removal a bit more difficult. 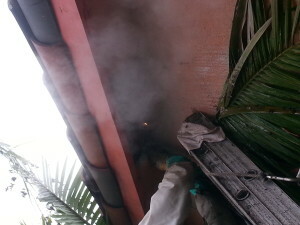 However nothing is difficult or impossible about bee removal with Bee Busters, Inc. We have the bee keepers and the necessary equipments and knowledge for efficient wasp and bee removal services. So if you are faced with a bee or wasp infestation, you should call and hire professional Bellflower bee removal service at 949-497-6264 or 714-731-1959 for a professional bee keeper’s help and advice. For Bee Removals in Bellflower, call Bee Busters Today!